You have probably never noticed me in Esther’s book. I am one of the ‘seven maidens’ given to Esther on her arrival in the harem of the king’s palace. The chroniclers have given us no names, no history, no identity; we are there to take care of the women while they wait to be summoned by the king. I scarcely remember my own story; I watched my mother and younger siblings die at the hands of Persian forces, sent to suppress the uprising of our city. I fled into the forest and survived eating berries and leaves from trees and shrubs. After three days, I was captured by a soldier who brought me to Persia and sold me to Hegai, keeper of the women, and that is how I am here in the king’s palace. We are slaves. We sleep on old mats outside the chambers of the women who have been brought into the harem. This woman Esther is somehow different from the others: proud, yet not unkind to us; courageous, yet fearful too. I feel in her presence a prescient terror of something sinister, not yet revealed. She prays alone, addressing an Unseen Presence in a strange tongue. 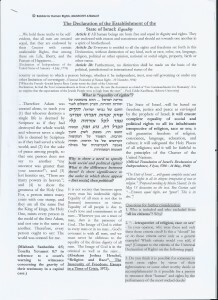 Some say it is the language of the Jews – Hebrew. In her face, I see something of my own grief and loneliness and am moved to pity for this woman, also uprooted from the place of her birth. We know of this planned genocide even before Esther. Her cousin, Mordecai, is sitting outside the king’s gate in sackcloth and there is terrible weeping and wailing among his people. At night, I cannot sleep, imagining that I am witnessing again the decimation of my own people. There is an intimate, royal banquet – the king and Esther and Haman – on the first night; and then, on the second night, another banquet is prepared. As the candles are lit and the food prepared for the table, I listen to the hammering of Haman’s men outside building a gallows for Mordecai. Tonight I dress her carefully – in a deep purple silk gown that falls to the ground, her waist bound by an embroidered girdle, her head crowned with a diadem of precious stones; her face and throat whitened with lead powder, her lips reddened with crushed mulberry. I know that her people are sold, to be destroyed, to be slain and to perish – all the silks of India, the dyes of Phoenicia, will not save the life of this woman or her people. I cannot tell her this, for she is resolute, there is something determined in her expression, a deep and enduring protest against the injustice of the king’s written decree. I watch her approach the king, confront her enemy and point her finger towards his face. He has forced himself upon her; she looks away – his face is consumed with hatred and lust, in his eyes a stony godlessness. They cover Haman’s face – a face that looked only on itself, that was its only self-referent; eyes that averted their gaze from the face of the other lest the soul submit to responsibility, compassion, a moral urge to place others before, even above himself. They cover his face because he will die alone, because he has betrayed ‘the most basic mode of responsibility’. Haman will die for his failure to see in the face of Esther a yearning for life – le droit vitale. U’f’nei Haman chafu – his face is covered to extinguish that asymmetrical look that says: you are an infiltrator, a maggot, you deserve to die. Esther will live and set her own people free, because she suspends her own natural right to self-survival for the sake of justice and for the sake of the life of others. I, too, will be given my freedom by Persia’s new king, Mordecai – a freedom that will be difficult, but breathed in a place of peace and truth, of equity and trust. 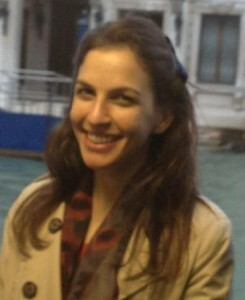 Rabbi Alexandra Wright is Senior Rabbi at the Liberal Jewish Synagogue, London, and vice-chair of BFRHR. 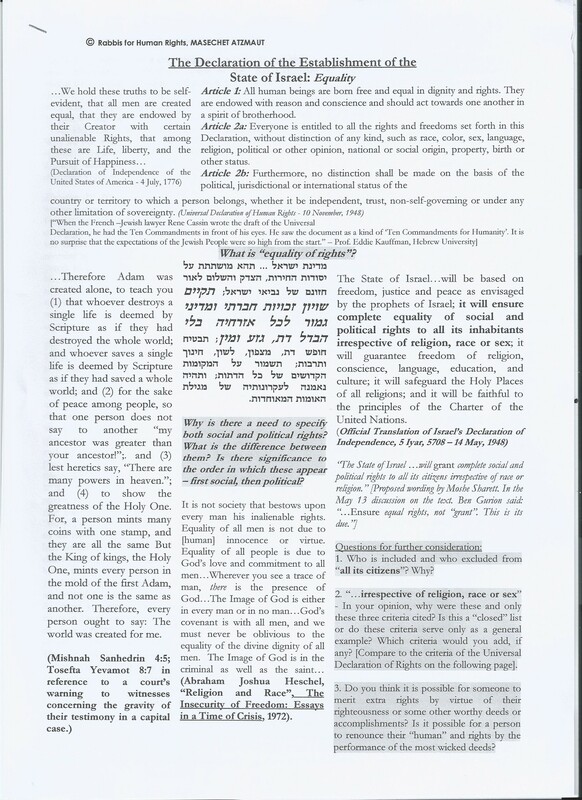 This entry was posted in Education and tagged Education, Purim on February 25, 2013 by Rabbi Alex Wright.